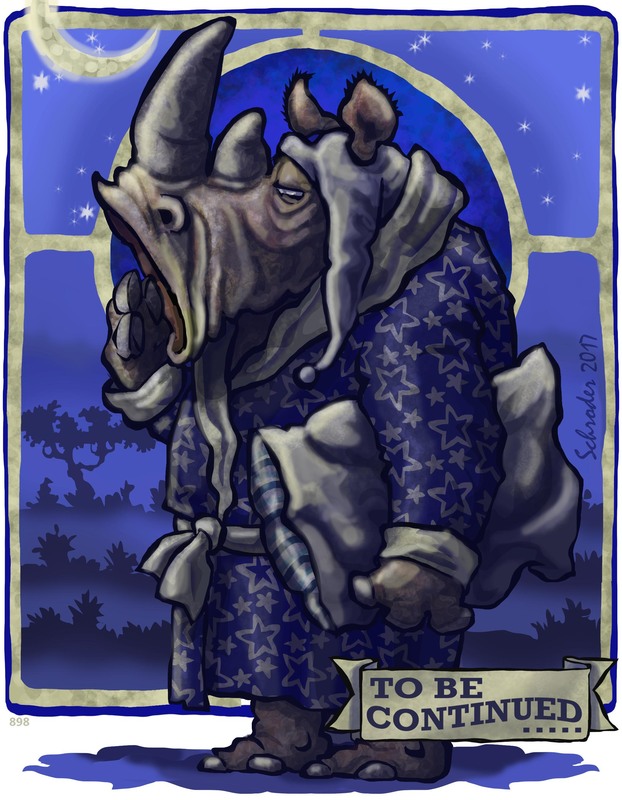 We Rhinos space out our Slumberations through the day, particularly when it gets hot. But what Your Inner Rhino wanted to point out, is that We live in two different worlds every day. When it’s bedtime, We check out of the regular day, and check into Dreamland. In the former, We feel We are in control. In the latter, We witness ourselves on a different level where We occur. And then it’s time to Wake Up, and pick up where We left off.